This is an awesome transitional dish for this time of year. Theres a giant comfort factor to it because of the richness, but the light, fresh flavor is what really shines. So brightly. There are so many things I love about this recipe. First, its a one-pot deal, which I always, ALWAYS welcome into my kitchen; the less clean up the better. But lets just talk about the flavor. Oh allllllllll that flavor. 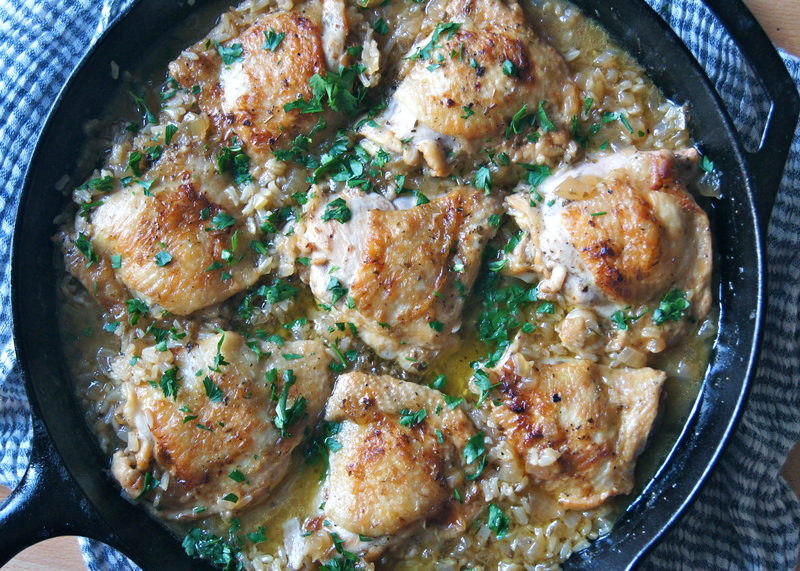 Searing the chicken in the pan before transferring it to the oven to finish cooking leaves you the most delectable, over the top, savory party ever…and it runs throughout the entire dish-youll never taste better rice because of it. Ever. And thats just the beginning. Because apparently savory bliss just isn’t enough. Theres lemon. And herbs. And spices. That just meld right in with that savory party and make themselves perfectly comfortable. Its astounding how you can yield such flavor with just a few simple ingredients. Positively Magical. 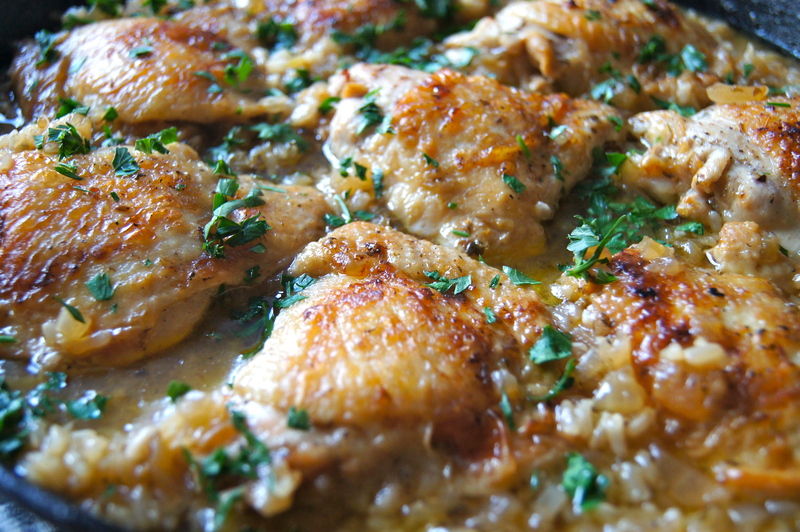 notes: I have made this with both bone-in, skin-on chicken breasts and chicken thighs. The thighs are, hands down, the winners. Succulent, juicy, perfection. If you choose to use breasts please note they will be much more dry. Also, you can substitute any rice for the brown jasmine rice I use below but your cooking time will vary based on what grain you use. 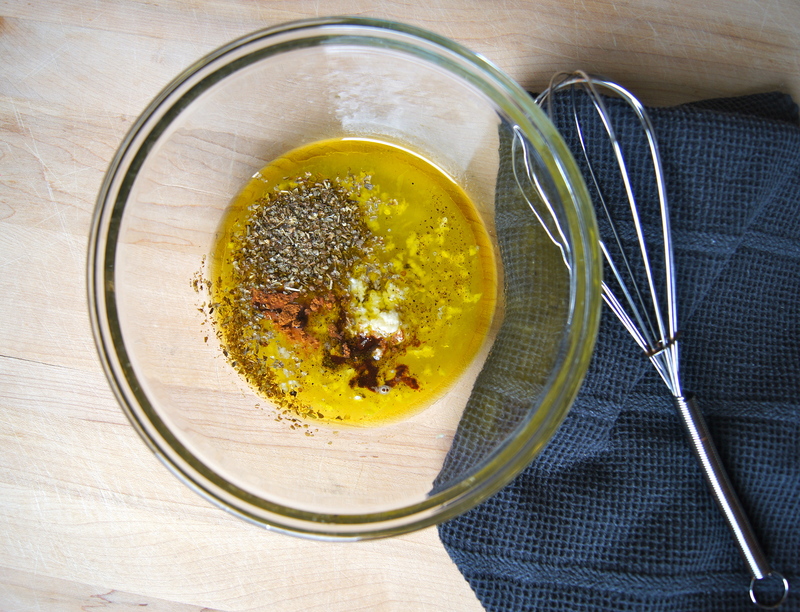 In a small bowl whisk together all of the marinade ingredients until well combined. Reserve 1/4 Cup marinade and set aside. Pour the remaining marinade into a resealable bag and add the chicken to it, rubbing it around to ensure the chicken is coated. Place in the refrigerator and marinade for 30 minutes to 1 hour. Preheat oven to 375. In a cast iron skillet or oven proof skillet heat the olive oil over medium high heat. Add the marinated chicken, skin side down, and cook for 5 minutes, or until the skin is browned and seared. Flip over and cook 1-2 additional minutes. 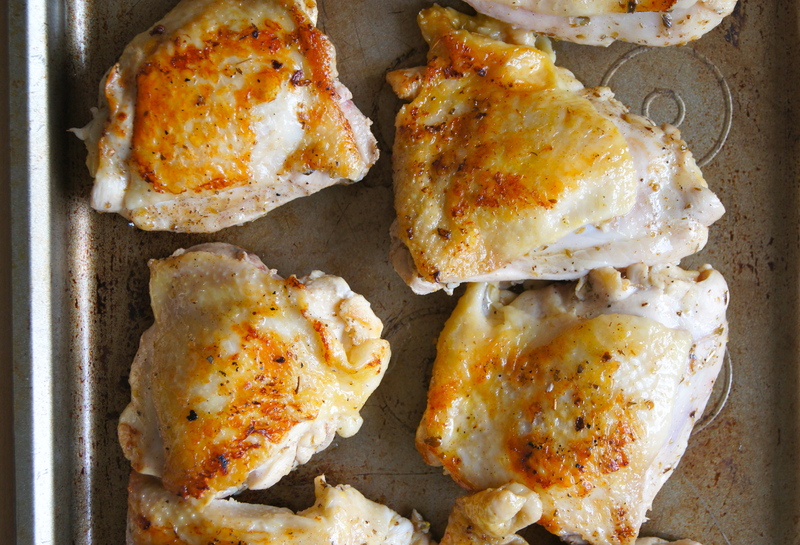 Remove the chicken from the pan and set aside. Remove the liquid from the skillet but do not wipe it or clean it out-those browned bits and that seasoning is your ticket to pure flavor. Place skillet back over medium high heat and add the onion. Cook until onion begins to soften, about 3-5 minutes, stirring occasionally. 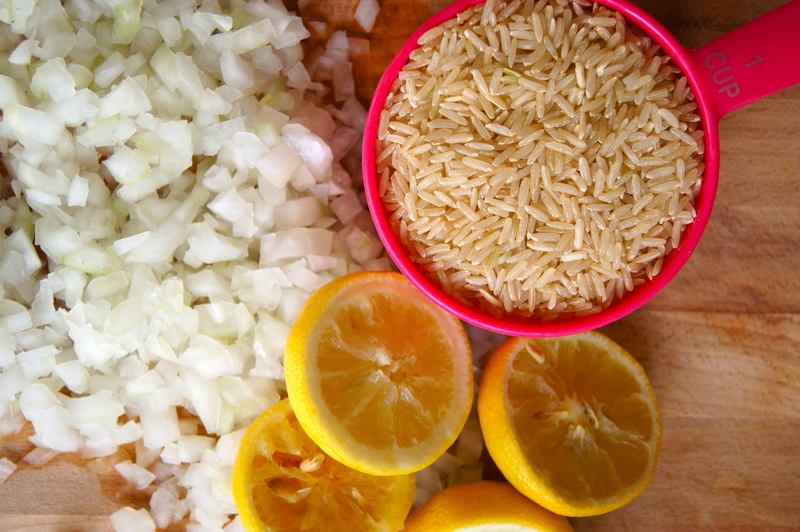 Add the rice and cook for 1 additional minute. Stir in the chicken stock, water and reserved 1/4 cup marinade and bring to a simmer. Place the seared chicken thighs on top of the liquid/rice mixture, skin side up, and cover with a lid or tightly with foil. Place in the oven and bake for 1 hour or until rice is fully cooked and most of the liquid is absorbed. Garnish with parsley. Serves 4-6. That looks delicious, we’ll have to give it a try. Thank you! I hope you enjoy it as much as we do! Printing!! Thank you so much…what a gorgeous recipe! How exciting! Thank you..I hope you enjoy it!